A total of 55 students participated and pitched their innovative ideas and were ratified by the judges. 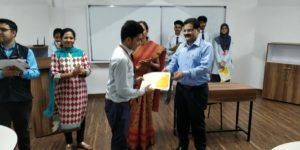 The main objective of this competition was to let students think out of the box and come up with new and innovative idea. 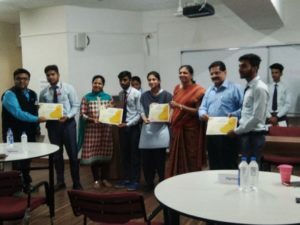 The entire event was very much appreciated by all the participants as it gave them a platform to showcase their business idea and they got an opportunity to receive valuable inputs from maestros of Entrepreneurship in our institute, our own Prof. Atul N. Bharat (Director , CDC), Ms. Anupama Modi (Head, E-Cell) and the esteemed panel of judges. ← National Seminar on “Green Building Recognition Systems: IGBC and GRIHA” under the ageis of Institution of Engineers (IEI), Indore Local Center.